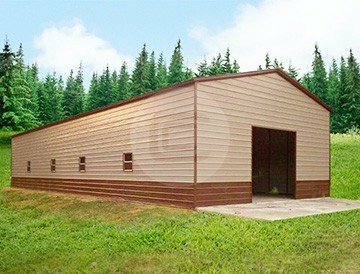 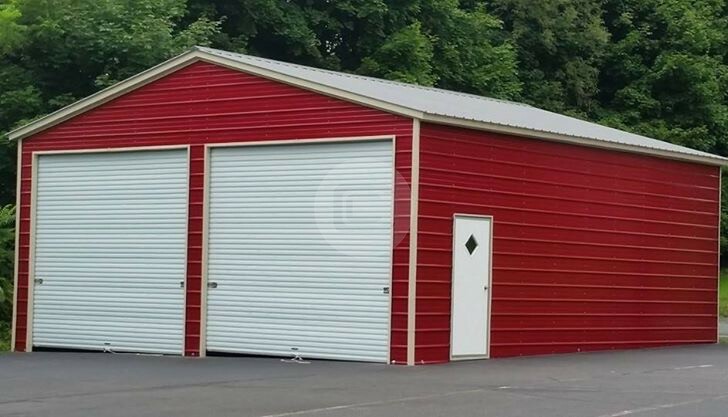 This roomy 24x51x12 vertical garage and workshop provides a great open space for work, hobbies, storage, and so much more. 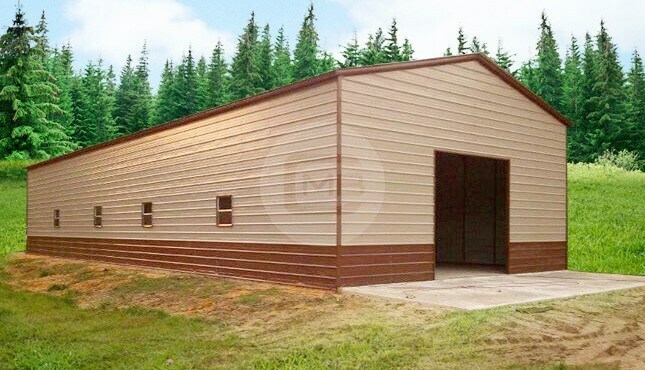 This metal building includes an 8×8 garage door and four windows to provide natural light. 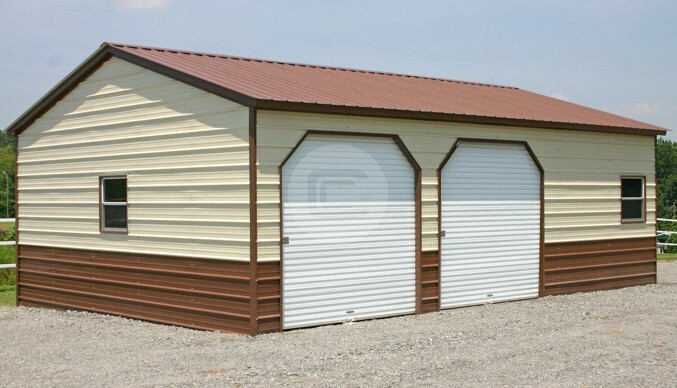 With its 14-gauge framing, and vertical roof style, this structure is manufactured to handle the weather in just about any part of the United States, including areas with high winds and heavy precipitation.